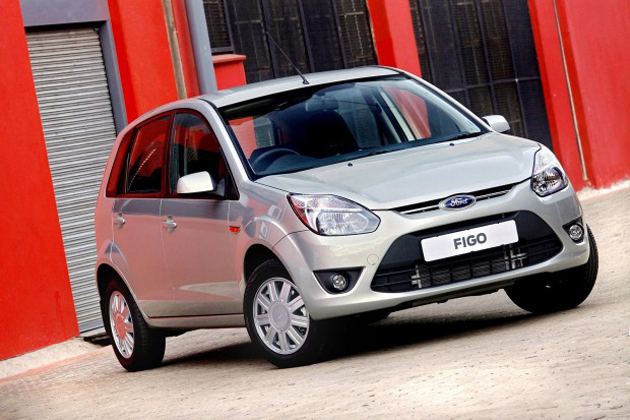 Ford Figo is the flagship model for Ford India garnering most significant part of revenue for the automaker. In the step towards ramping up sales, Ford India has launched a new variant, the optional EXI with Bluetooth functionality along with typical EXI features in petrol and diesel trim levels. The upgraded ZXI trim level comes with tilt steering wheel and USB port. The Titanium adds alloy wheels as a high end feature. It provides you with ample of interior space along with abundant legroom, headroom and shoulder room for passengers. From oversized shopping bags, luggage or all the gear for weekend getaway, pile them in and you are ready to go. The all new Figo offers plenty of features such as tilt steering wheel, USB port, electronic side mirrors and alloy wheels. The Ford Figo price for upgraded petrol trim levels EXI, Titanium and ZXI include Rs. 4,30,230; Rs. 4,92,727 and Rs. 4,44,383 respectively, while for diesel variants is said to be Rs. 5,22,029; Rs. 5,84,325 and Rs. 5,36,184 respectively. The Figo offers excellent performance in highway and city road conditions, while its precise and light steering wheel delivers superb controls. The optimized suspension is tuned for providing comfortable ride without sacrificing handling and body roll. Some of the exterior features include body colored rear and front bumpers, left hand side outside mirrors, full wheel covers, body colored outside door handles and mirrors and chrome finisher on side repeaters and radiator grille. Like other automobile manufacturing companies who introduce their trim levels with quite a few unworthy cosmetic redesigns, Ford India has taken pains for enhancing the all new Ford Figo to compete with other rivals. Currently, the Figo is available in four different trim levels; these include LXI, Titanium, EXI and ZXI in both diesel and petrol variants. Some of the infotainment and connectivity features on Titanium include four-speaker stereo system with MP3 player, AM/FM radio and auxiliary input jack, Bluetooth phone interface, audio streaming, full phonebook access, call swap, hold, mute and privacy mode and call logs (incoming, missed and outgoing). The performance focused Titanium is increased by mere Rs. 18,000 comes packed with alloy wheels and tilt steering with USB port.